We have several training rallies already planned ( usually Friday’s and occasional Sunday’s at Lyford) where you can learn the games and have fun with your pony. Mounted Games is really good for increasing your general riding skills and your confidence. Please come along and have fun!! 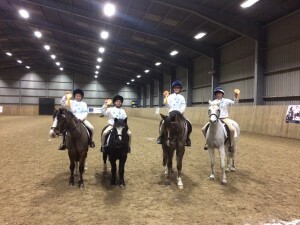 You could be in a Senior Mounted Games Team!!!! The area trials in on Sunday 29 April and we would really like to send a senior team. There will also be a “friendly” taster competition during half term. They are fun and informal rallies, and mounted Games really improves your riding for other disciplines. Your confidence and partnership with your horse/pony will improve, you will develop an independent seat, and have a chance of representing our branch at Area trials and maybe beyond at Zones or even the Championships!!! The junior team are learning fast, but I would like them to stay as Juniors this year. 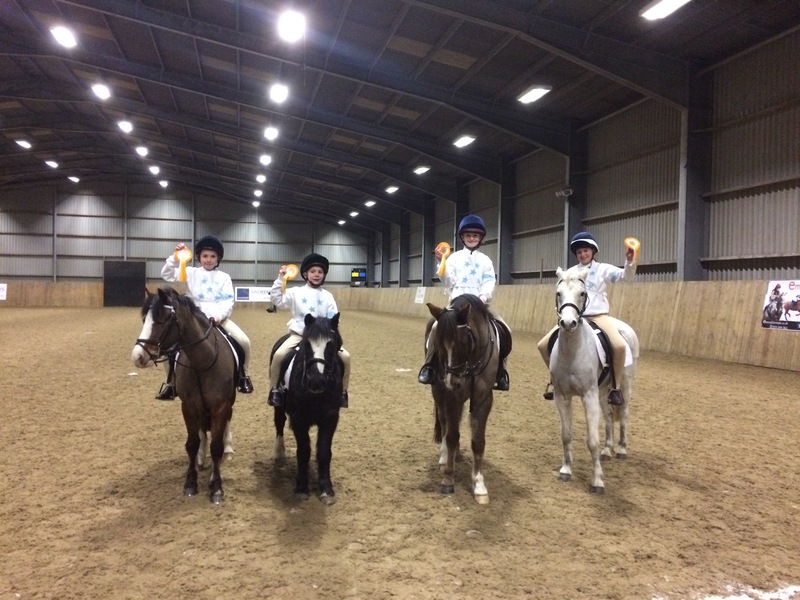 On Sunday 18th February 6 of the Mounted Games Squad competed at Onley in a friendly competition. Juno and Shannon joined 3 boys from the Cotswold Vale Farmers and were 3rd overall. They both did brilliantly well and made 3 new friends. Want to get involved in mounted games? Contact Joanna Lambert and join in the regular training sessions.